Intellicom is passionate about performance and scalability in your infrastructure, and nowhere is more information organized and distributed than in a data center and the services you provide. And after you are up and running, Intellicom even provides on floor support, migration and operations support to meet your 7x24 demands. We keep you running smoothly by offering a full complement of network services for small businesses, large enterprises and anyone in between. From after-hours services, backup management, hot swapping, network monitoring and response, Intellicom has the experience to assure your mission-critical operations meet your demands. Intellicom offers commercial network services here in North Carolina that are comprised of more than just network services for a specific sized company or industry. We work across all types of existing networks, new builds, industries, locations and sectors to bring the right network to the right person. We have more than 25 years of experience in network development, and our OEM-certified engineers can help you meet the demands of your business. Ask us about wide area networking, virtual private networks, distributed networking, integrating wireless systems into your offering, support for non-standard equipment and specialty networks that can scale with your growth as you dive deeper into big data. Why Choose a Local Network Service Provider? Selecting a company with a local presence is always best when it comes to your unique commercial network services needs. Intellicom specializes in vareity of network service solutions, and we focus our efforts right here in North Carolina! Our team of experts know the local landscape and can provide quick support and after-hours services from Charlotte and Raleigh to Durham, Cary and Fayetteville. Intellicom offers many network services for small businesses such as overall design and installation, plus we provide ongoing support and troubleshooting using products from today’s leading OEMs. As a leading network services company, we pair many network development tools with our structured cabling work to give you the best deployment for your business operations. That means we manage everything from network wiring and testing to upgrades and even a complete rip-and-replace in the few cases where it is necessary. Talk to us today about the network services you need for your small business, corporation or new business and we’ll provide a complete audit and quote for building your basic network, ensuring its security and expanding reach through wi-fi network installation and distributed antenna systems designed to boost smartphone performance in your building. There are many companies who can “pull cable” from point A to point B – so, why Intellicom? First, Intellicom has an unprecedented breadth of experience, customer focus, capacity and certifications. Through a deep-rooted partnership with specialty technology and electrical partners, Intellicom is better equipped to handle all aspects of your cabling needs than anyone else in the marketplace.We handle, in house, everything required to bring your special systems to life. From the installation of conveyance or conduit to the creation of pathways via demolition and build back, we have team members that get your project done. Intellicom is experienced in meeting even the most demanding of requirements for structure, appearance and manageability – having delivered for technology showcases, industry-leading data centers and aggressively growing companies.The team here at Intellicom has become one of the top voice and data cabling North Carolina companies have come to depend on from early-stage planning and development to implementation and maintenance. We’ll turn your entire project into something your team and your budget can handle. - Easy to install, maintain and upgrade. Modular design means you can quickly and simply replace equipment, expand your support and adjust to business demands through networked controls. - You need less infrastructure. Voice and data cabling requires significantly less physical equipment, so our customers throughout North Carolina are spending less money throughout the life of their network. Passive devices and system architecture do the heavy lifting and have replaced many pieces we previously needed, such as network switches. - Installation time is shorter and less expensive. Less physical equipment and greater network controls mean getting you up to speed is simpler. It takes less time and that means fewer hours paying voice and data cabling companies as well as your staff to install and monitor the new equipment. - Safer cabling. Structured Cabling for voice and data installation often turns a series of wires and cables that too closely resemble a hairball into a clean and efficient set of cables that are clearly marked and easy to use or replace. All of that organization and simplification turns into savings because the airflow is better, cooling your equipment is easier, there’s less chance of destroying cables and you can use smaller diameter trunk cabling to limit costs. You can see all of these benefits and more by selecting Intellicom as your voice and data installation company. Experience why our expert staff has a 100% customer satisfaction rating for our expertise and top-quality service throughout Durham, Raleigh, Charlotte, Greensboro and Asheville North Carolina! 0ur 100% on-time & 100% customer satisfaction record speaks for itself! - Designing Layer I infrastructures for mission-critical and commercial enterprise environments. It’s important to always build your entire IT network with a focus on security and the ability to scale. These are the two pillars of futureproofing your network and the best reasons you’ll want to work with a network design specialty company. Intellicom brings a deep pool of resources to your needs, but delivers with the personal attention you expect from a smaller company. We can run with the big guys, but you’ll always get the personal touch of a local network design consultant from our Durham, NC office. No design project is too large, too small or too complex — no detail of design is left uncovered. As a leading network design company, we offer more than basic installation and IP security services. Intellicom is able to deliver next-generation networking capabilities, hardware and management practices to any network. Whether you’re looking to grow or simply want to make the most of your next maintenance and repair investment, we’re the IP security company North Carolina trusts and your business can trust us too. - Application Mobility: Address the cloud needs of remote access to your network while managing user access and ID controls. - Unified Communications: Build a single architecture that supports your customers and internal teams by integrating your security, voice, video wireless and data networks to maximize infrastructure services. - Server Virtualization:Use your servers more efficiently and maximize your assets by moving controls, flows, containment, security and more to a virtual environment that’s easier to maintain and manage. - Data Management: Store and protect your data the instant it is created with a full set of network design and IP security services from Intellicom. We build everything you need from data replication and backups to user-level controls and automated audits. Why Consider Professional Design Support? Anyone can plug in a server, but it takes a pro to design the network architecture to maximize your racks and protect your systems. Always turn to network design companies that offer IP security services to keep your company and your customers safe. Intellicom’s leading data center and network design experts can help you select the gear you need, install it in a secure manner, perform audits to look for vulnerabilities, suggest maintenance schedules and help you with any event or uncertainty that comes up along the way. We’ve secured a 100% customer satisfaction rating, and when you put yourself in the care of Intellicom, you’ll see why. Save yourself plenty of time and headaches by becoming our next satisfied partner. When it comes to meeting the increased demand for bandwidth, many IT managers are looking for transformation in their network architecture. To increase speed and consistency, a gigabit passive optical network, or GPON, may be the solution. This technology consists of unpowered (passive) optical splitters for network connectivity, which lowers network costs and energy consumption. 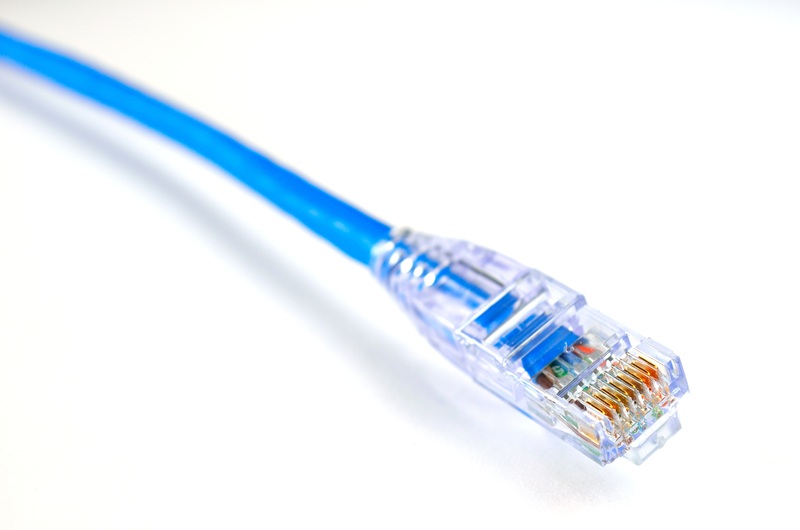 GPONs offer less costly connections than a standard Ethernet. By using a single fiber cable to serve up to 32 connections, the need for hardware decreases. This reduces cost and space necessary to host larger amounts of hardware to support the network. The technology has fewer electrical and moving parts than in the standard network, which lowers the risk of downtime that might cripple your productivity. With a GPON installation, businesses can take advantage of faster digital communications, allowing for increased productivity and greater innovative services on the network. Our speed and customer service have made us one of the leading GPON network design options in NC cities like Durham or Charlotte for businesses of all shapes and sizes. Turning to a GPON installation company for your network development can deliver a series of benefits for your company, both in controlling your network and supporting the people who are using it. Here are four of the leading advantages our customers see when they adopt a GPON infrastructure architecture. The less physical infrastructure you have, the fewer pieces there are to be maintained and updated as the years go by and equipment ages. Through our GPON network design in NC and surrounding states, we’ve been able to build GPON systems that are less susceptible to equipment failures and are easier to maintain for existing IT staff. GPON networks have fewer moving parts thanks to their reliance on passive equipment and network-level controls, making your budget stretch farther from installation through long-term use. Intellicom pushed to be a leading GPON design and installation company because of how easy these systems are to manage. Customers continually tell us that a GPON architecture reduces their ticket volume, has simpler troubleshooting requirements and its centralized management allows for adjustments to prevent data loss and network outages. Companies that turn to GPON service providers in NC and beyond are saving money and easing the demands on their staff, which can lead to happier teams and fewer calls to outside field technicians. GPON networks typically offer a 2.4 Gbps downstream capacity with variable length packets that make your video and voice traffic easier to manage. Passive equipment such as optical splitters ensure your data delivery is efficient, even if you’re turning an optic strand into 32 separate signals, serving 128 end ports.